The problem is that the person I'm sending it to is kind of far away. So, I'm wondering what my options are, and whether they work or not. I could buy the game and send the box and everything to him via mail. Problem is, his parents are nuts, and will probably intercept the package and send me back a bomb for trying to get their son a videogame. As you can guess, this is my last recourse. I'd have to tell him to be alert and check his mail every day for this to work, and if he misses it, we're both done. Help. Me. I need safer options. Better yet, Get his permission to use his email address, make an easy to change password like changeit#### with some number there at the end to make it unique enough that it won't be randomly guessed in the next day. Buy the game for him using that new account and have him download it. Or you can avoid causing problems with his crazy parents. I was wondering what is necessary to set up the game. Is it possible to access everything with just a cd-key? If he were to make a bnet account, and if I was to send him the key, would he be ready to play SC? Or do you need the game disc to play? You see, this is supposed to be sort of a... secret present. I want all my options, so I can start thinking of how I'll present this to him. I would recommend that if he lives in America, you go to the store and buy the game box. If he can't get the game box due to his parents, then open it up and register the SC2 code to his battle.net account or just send him the code for him to do that. He can then download the game from the website, install it, and play (assuming of course he has a computer that can run it and internet access). But trying to give him something his parents don't want him to have can obviously cause problems. Yes, just buying it online gives you access to everything the boxed version does besides a CD and manual (though that's why I would go to the store and buy the retail version so you can give him the box when it is safe to do so). Then it can sorta still be a secret present because you will send the code to him via email if you chose to do the second option. Just send him 50 dollars instead..
Why can't this be as easy as enter the member's bnet email you wish to gift to, pay for the key, have blizz send them an email with the download / key link and have you sign an authorization email that it sends for security purposes? Steam allows game gifting... why doesn't Bnet? I feel bad for kids with parents like that. Wow. I can only see nothing but troubles if the parent problem isn't resolved first. If your havin parental problems i feel bad for you son. I got 99 games and SC is one. Good point actually, you could just buy the physical game and just IM the key or something. Well, I feel stupid now, lol. I almost certain that you only need to download the client and have a verified starcraft account. 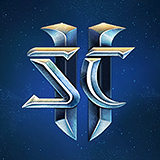 On the computer I'm using now, I downloaded the client as part of the starter edition (so I could try it out) and now I'm able to access my actual starcraft account on it. I would love to have a gifting option. I'm trying to buy wings a liberty for a friend but i don't know how. could i just go on his computer go on battlenet buy it and download it and he gets it or could i just buy it and send it to him.